Why are Chinese prosecutors resigning? Chinese prosecutors (procurators, this blogpost will use the terms interchangeably, although the functions of the procuratorate are broader than public prosecution) do not receive the international attention that Chinese judges attract. There is no Supreme People’s Procuratorate Monitor to review its reforms, structural and legal issues. Chinese prosecutors, like judges, are leaving the procuratorate in significant numbers, although recent statistics do not appear to be easily available，According to statistics for 2011-2013, over 6000 prosecutors were resigning annually. Li Bin, a former senior prosecutor who in 2016 worked for the legal media company Itslaw (无讼),（she has since changed companies), published the results of her survey of over 4000 members of her cohort this spring. The study gives important insights. The two surveys that she did revealed that men were resigning in greater numbers than women, with 70%/30% ratio in the survey done this (2016) spring. This may explain why many of the criminal cases streamed by the courts have an all women team of prosecutors. 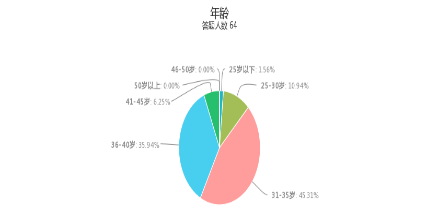 Like the judges who are resigning, most are in the 31-40 age bracket, with 45% between the ages of 31-35 and 36% between the ages of 36-40. About 10% are under 30, 6% between 41-45, and no one over 46 responded to the survey. Most (80%) resigning prosecutors have at least 5 years experience, with about 40% with over 10 years experience, and 1/3 with 6-9 years experience. Most prosecutors who resigned had at least a master’s degree. Almost half (45%) the resigning prosecutors had worked at the basic level, with another 20% leaving provincial level procuratorates, and another 20+% leaving municipal level procuratorates. Most (70%) had done public prosecution, with about 20% having worked in investigation. Most (67%) of those who responded had resigned within the past year, with the remainder having resigned within the past three years. Over 40% of those prosecutors who reisgned became lawyers, while 44% became in-house counsel. Very few went into teaching or other non-profit professions. Three-quarters of the resigning prosecutors identified poor benefits (and other treatment) as their reason for leaving. Other reasons identified by over half the respondents included: insufficient opportunity for promotion, no feeling of accomplishment in their work; overly bureaucratic management, insufficient professional respect, inability to travel abroad. [One local prosecutor has commented that junior prosecutors (in his locality, at least) are to travel, although the high ranking ones are more restricted.] Other reasons such as too much work pressure or risk were identified by less than 30%. Others mentioned chaotic management, lack of opportunity to learn anything. Prosecutors who had resigned were generally pessimistic about judicial (i.e. including the procuracy) reforms.About half said “it was hard to say anything about the future of the reforms,” while about 1/3 thought that there was no hope, with about 19% having some hope. Almost 90% of resigning prosecutors thought that raising the salary was the most urgent need, with three-quarters believing that it needed to be doubled or tripled to retain prosecutors, with 70% agreeing that the administrative burden should be reduced, almost 60% agreeing that bureaucratic management should be reduced, and 47% agreeing that prosecutors should have more autonomy concerning their cases. Finally, the reasons for resigning identified by the editor of Empire Lawyers (mentioned in my earlier blogpost on judges) likely apply to prosecutors. Social media, particularly Wechat,is likely important to prosecutors too, for the same reasons. It has given them a new universe of social connections outside the procuratorate. It also gives them easy access to information about the life of former prosecutors similar to themselves. Moreover, through Wechat they can create a circle of friends and connections who can provide moral support when they have made the decision to resign. Money is a big factor, particularly in major cities with high costs of living. 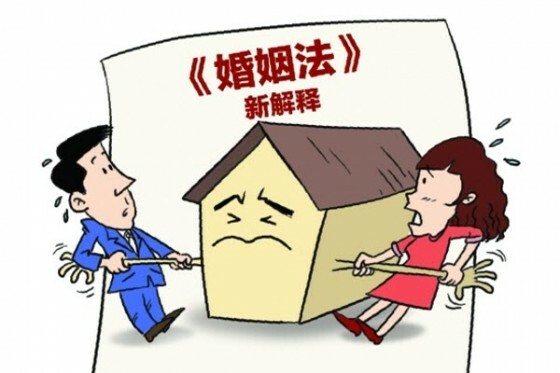 The fact remains that middle-class life in China’s major cities, particularly for couples with a child, is expensive and salaries, tied to civil service rank, are inadequate. At least judging from this survey, prosecutors are concerned that the judicial reforms will not result in a better quality of work for them personally. As with judges, there is also the rigidity of the Party/state cadre management system. While law firm partner classmates are posting photos of themselves at Yosemite or in the Grand Tetons on Wechat, prosecutors must obtain permission to leave the country. Will New Supercommittees Resolve the PLA’s Complicated Legal Problems? On 8 April 2014, the Communist Party’s Central Political Legal Committee and the General Political Department of the People’s Liberation Army (PLA) (the PLA’s highest Communist Party organization) jointly issued a document on improving the protection of the rights of the military, military personnel, and military dependents (关于加强维护国防利益和军人军属合法权益工作的意见) (PLA Legal Protection Opinion). The document itself has not been made public, but a summary has been widely distributed the press (including the People’s Court Daily website). The PLA Legal Protection Opinion has drawn caustic comments from some in the Chinese blogosphere for its request that the political legal authorities (the courts, procuratorate etc.) create a “green channel” to resolve military related disputes, by giving those disputes priority at all stages of criminal and civil procedure (from docketing cases to enforcement), and call for “special matters to be handled specially” (特事特办). .
why the document was issued. National Leading Group on Double Support (see the following report, on the provincial level). On the military side, presumably the General Political Department issued it to the military counterparts of many of the above authorities, including the PLA Military Court and PLA Military Procuratorate. What are the Long Standing Legal Issues? 4. disputes over compensation for compulsory land confiscation. 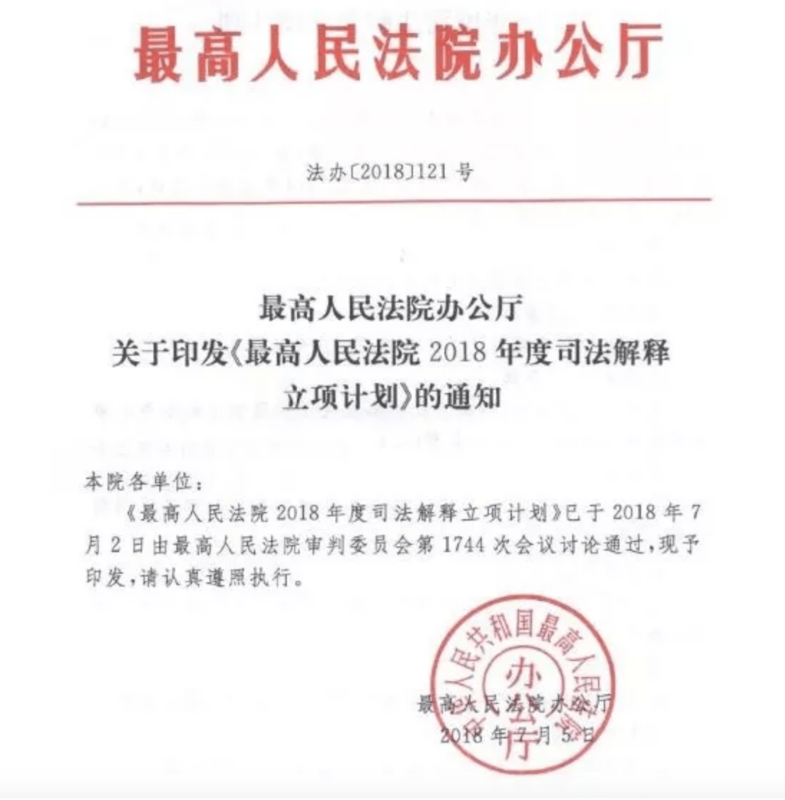 The PLA Legal Protection Opinion calls for the establishment of a national coordination mechanism to support and protect military rights (全国涉军维权协调机制), (Supercommittees) replacing “the leading small groups on supporting and protecting military rights” established nationwide from 2007. The Supercommittees are led by the Central Political Legal Committee and General Political Department (the top Party committees relating to the civilian and military legal systems), and require the government authorities to whom the document was issued (and their local counterparts at each level) to send liaison personnel. The Supercommittees are to establish counterparts at the provincial, municipal, and county level. 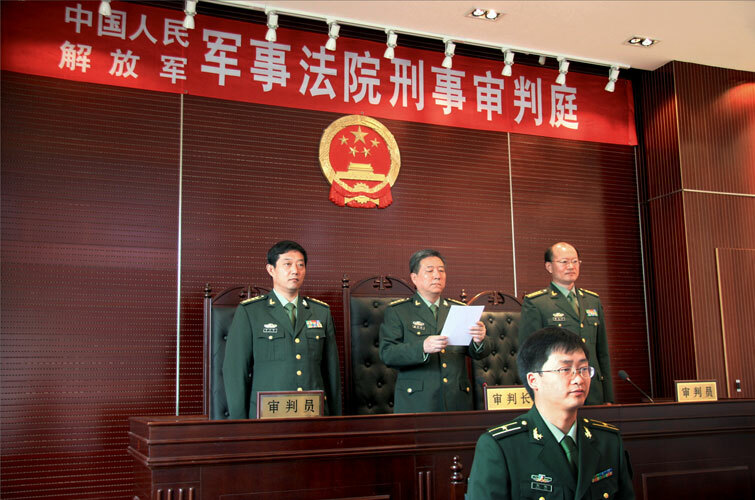 In an article published in the People’s Court and PLA Daily, a “responsible person” of the PLA Military Court described the drafting process, which mirrors the drafting process for Chinese legislation generally. Staff from the Central Political Legal Committee and the PLA Military Court formed a drafting group and went to Zhejiang, Fujian, Guangdong, and Shaanxi for field research, soliciting the views of local Party Secretaries, local courts, and military district officials, PLA officers and soldiers, including areas where local policies had been drafted to deal with military/civilian issues. A consultation draft was prepared and approved by the leadership of the Central Military Commission, General Political Department, and Central Political Legal Committee for distribution for comment to the relevant central government departments (including the Supreme People’s Court), leaders of major military institutions, and some local level military officials before being finalized. they should be incorporated into performance evaluation for “comprehensive social management work” (performance in controlling social unrest). Why was the document issued? The document must have been issued because the previous leading small groups were not effective, and the result has been an increase in civil unrest involving civilians and military, unresolved civil disputes involving the military and its personnel as well as criminal cases involving civilians and military that have not been prosecuted. The principal reason for these unresolved issues (in my view), is due to the separate operations of the military and civilian systems and the difficulty of coordinating across bureaucratic systems. Moreover, a substantial number of the unresolved cases are likely tied to the performance indicators for officials within the (civilian) legal system. Performance indicators for court and other officials within the legal system are generally tied to their percentage of closed cases or other success rates. For example, a civilian court will be reluctant to accept divorce cases involving a military spouse if orders to transfer property, registered within the military system, will not be enforced and the cases cannot be closed. Civilian public security officials, similarly, will be reluctant to take a case if some of the criminal activity has taken place on military premises, because investigating the crime and collecting evidence will be extremely difficult. The document reveals social and economic changes affecting the military (such as a higher rate of divorce and other family disputes), disputes over land condemnation affecting military personnel, as well as increased social unrest involving the PLA (that seems to be kept out of the press). Finally, it reveals the complex interrelationship between the military and civilian legal and administrative systems, and the use of law (or at least legal policy) in making it operate more smoothly.